Cosatto Wonder 2 in 1 Travel System is designed purely for your ease and comfort. It embodies luxury by incorporating the newest innovations as well as thoughtful classical touches and a vintage aesthetic. This pushchair travel system has a traditional silhouette, with fluid, soft features which demonstrate beauty within its chrome frame, wooden basket bottom and hand-stitched leatherette handles. Why should I choose the Cosatto Wonder 2 in 1 Travel System? The Cosatto Wonder 2 in 1 Travel System is an adaptable piece of kit. This results in it being appropriate from birth. Its duo-directional ability means parents are able to choose between walk-talk bonding, or street-facing adventures. The Cosatto Wonder 2 in 1 Travel System is adaptable to different needs, allowing its user to swap from the multi-position handle to the pushchair seats luxury leg rest and seat back. It also offers protection from the sun with the removable UPF 50+ whilst giving ventilation through the vent window. Plus, the hood features an extending tuck away sun visor and a removable pop-on apron to offer further all weather protection. The quilted hood contains further protection with an extending tuck-away sun visor and there is a rain-cover storage facility at the rear of the seat unit. The Cosatto Wonder 2 in 1 Travel System also provides a removable padded bumper bar and a removable 5 point harness for added safety, while the chest and tummy pad ensure comfortable support. This pushchair travel system is suitable from birth as it has a comfortable lie-flat bed which is perfect for newborns and even occasional overnight sleeping. The multi-position recline the cushioned plush carrycot has enables your baby to be safe and supported as they grow. The removable 5 point harness provides extra security too. A glossy chrome chassis with a C-spring suspension making it look stylish as well as easy to clean. The flat fold feature allows for easy storage, and the multiple height handle position is handy for adults of a range of heights. This pushchair travel system from Cosatto has pneumatic tyres, giving a gentle bounce for an ultra-soft glide. It has an extra large basket and discreet storage compartments for convenience and removable mud guards and wheels. 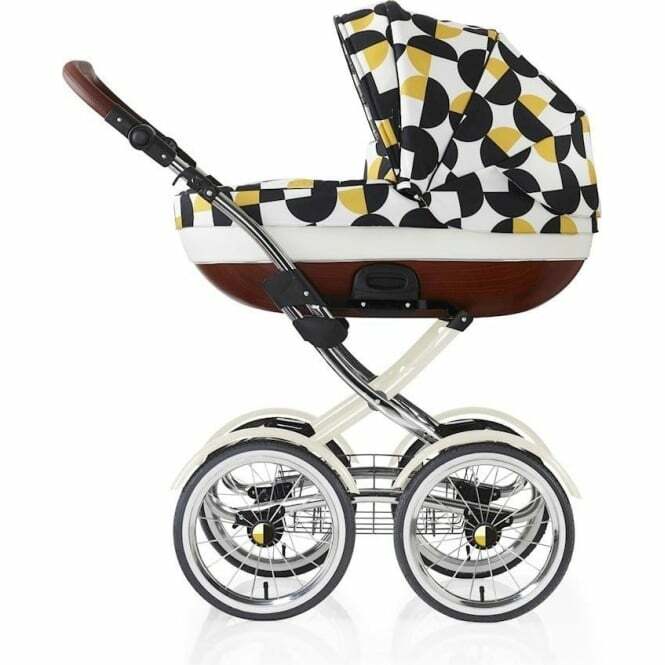 What's included with the Cosatto Wonder 2 in 1 Travel System? 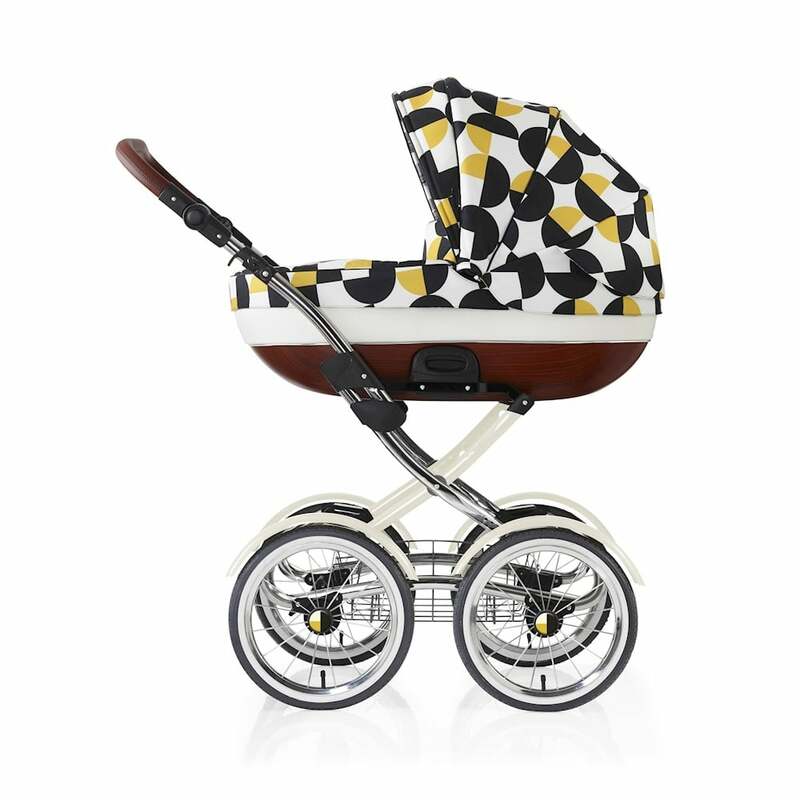 What are the specifications of the Cosatto Wonder 2 in 1 Travel System?